Candles ~ Hot Pink & White are a stylish finish to a celebration cake or cupcake. A great hot pink / magenta colour, perfect for many girly parties. 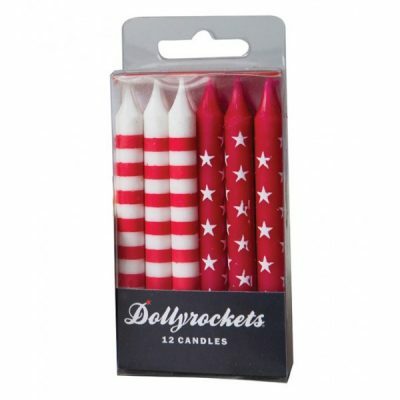 Pack size: 12 candles with a mix of stripes and stars.